Search Results for "ghost town aerial"
Aerial shot of the ghost town Real de Catorce and mountains in the sunset, San Luis Potosi Mexico. 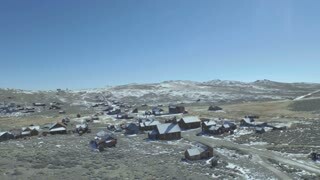 Aerial drone shot of the ghost town Real de Catorce, San Luis Potosi Mexico. Aerial shot of ruins at sunset in the ghost town Real de Catorce and mountains, San Luis Potosi Mexico. Aerial drone shot of ruins at sunset in the ghost town Real de Catorce and mountains, San Luis Potosi Mexico. Aerial shot of the ghost town Real de Catorce, San Luis Potosi Mexico. Aerial shot of the ghost town Real de Catorce in the sunset, San Luis Potosi Mexico.